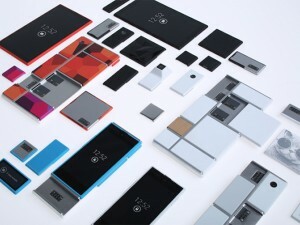 Motorola announced yesterday its work with Project Ara in the development of modular smartphones. The concept was introduced last September by Dave Hakkens in a YouTube presentation, where the idea was called Phoneblocks. It’s a great idea (the video has more than 16.5 million views in a few more than one month) and the project is trying to create a massive social event tomorrow (you can join it in the Thundercalp page). Personalized smartphones. It’s not a matter of style; it’s a matter of functionality. What if you want a smartphone with a Nikon camera but the processor you like is working for another company? Or maybe you are interested in a powerful smartphone with a huge memory storage but you are not going to use it to take pictures, then, why should you pay for a high resolution camera that you are not going to use? It would be nice to be able to choose the exact components and discard the ones that you don’t need. Repairing possibilities. Imagine a typical situation: your new smartphone (let’s say, a few months old), drops and the screen breaks. What then? Buy a new one? With a phoneblock you could just buy a new screen and replace it. The life of your smartphone is going to increase, as you could be able to repair, substitute or upgrade whichever part you want. The idea was there and Motorola has taken it. The company announced in its blog that it had been working in the Ara project with close collaboration with Dave Hakkens and the Phoneblock project. Project Ara develops a free, open hardware platform, following the same idea for hardware than Android had done for software. The core of this Motorola project is a collection of modules and an endoskeleton that holds the modules together. Project Ara is recruiting volunteers to collaborate with them, and Motorola announces the alpha release of the MDK in the next months.